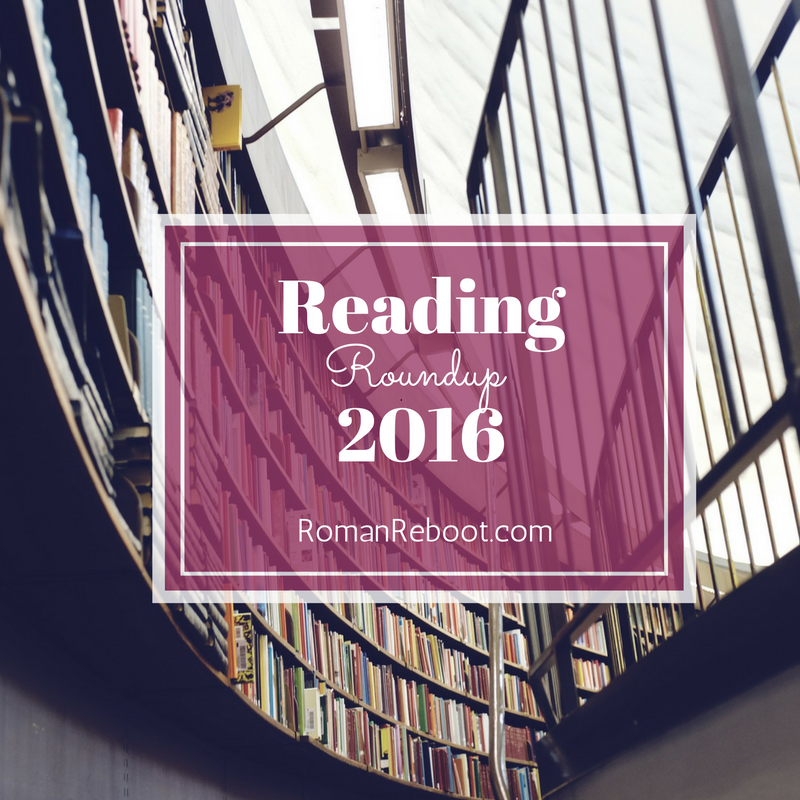 It’s reading recap time! Looks like I read about 50 new books this year (eerily the same as last year), but I reread many others. I’ve broken these up into categories. First up, memoirs. This year I found some great travel memoirs. I adore Bringing Up Bebe, and this year I tackled French Kids Eat Everything. Here, Le Billon moves her family of four to rural France for a year. It is mostly about food, but there is plenty more. She tackles the ups and downs of life abroad, and I found it fascinating. Since I’m a little obsessed with food, that angle was also plenty interesting. She offers great insights on how you can introduce foods, make mealtime more special, and help your kids to be more “French” in their habits. After reading this, I’ve been making an effort to make our meals more of an event. So what if I have little kids? Tablecloths, fancy napkins, and candles can help meals become more special. Not every day, of course. But some days. I also inhaled The Year of Living Danishly. Here, Russell and her husband move from London to rural Denmark for a year. Russell digs to find the secret to Danish happiness, and she investigates everything from design to food to tackling the weather. I’ve realized that these books I enjoy aren’t just any travel memoirs; they are written by journalists. Druckerman (Bringing Up Bebe), Le Billon, and Russell all are journalists. That means these stories aren’t just their personal experiences, but they pull in research and interviews in a way that is quite compelling. Highly recommend. This isn’t as much of a heavy hitter and the writing isn’t as polished, but Lessons from Madame Chic is a fun and fast read. She covers her experiences during her year of study abroad in Paris. It touched on many themes I enjoy, including quality over quantity, taking time for meals and to entertain, and minimalism. As a different kind of travel memoir, I read Bitter Almonds to prep for our trip to Sicily. This was an interesting read about Maria Grammatico’s hardship story about learning the craft of dessert making at a convent and then becoming a business success. I enjoyed the book, but I wouldn’t go out of my way to grab it if you aren’t making the trip to Sicily. It does have tons of recipes though if you are looking to whip up some Italian delicacies. On the celebrity side, Rob Lowe’s Stories I Only Tell My Friends, was great. This thing reads like Forrest Gump. I know it didn’t feel like it at the time, but looking back and seeing how all of these connections he made just fit is incredible. It feels like all of Hollywood is just one big coincidence even though it isn’t, and he worked very hard. Intriguing stuff. I’d also call Amy Schumer’s The Girl with the Lower Back Tattoo OK. Don’t pick this up if you are looking for something funny. It was interesting and occasionally funny, but Schumer deals with serious issues like sexual violence. Important stuff, but no laughing matter. If you are looking to laugh, grab Kate Siegel’s Mother, Can You Not? Siegel’s stories about her mom will have you cracking up on every page. My only beef with this one is how short it seems. Both the individual stories and the entire book feel like they could be a little longer. But it’s a fun and fast read that is a great pick-me-up. On a decidedly heavier note, I read Dan Marshall’s Home is Burning. This is the intense tale of a twenty something who moves back home to care for his two sick parents. This book is an emotional roller coaster. I laughed. I cried. I cried some more. (Don’t pick it up if you don’t like strong language.) This is a powerful book that I definitely recommend. Did you read any memoirs this year? Any faves?